Christmas means jubilations. For children, Christmas means surprise gifts from Santa Claus. 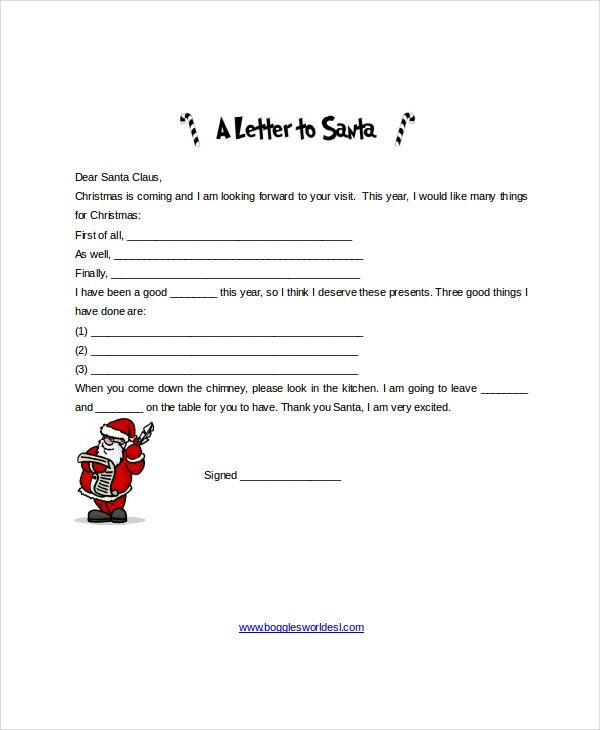 Santa Letter Templates provides a good opportunity to make people surprised and happy by the words written on them by their close ones in the name of Santa. Santa Letter Templates are also referred to as Christmas Letter Templates, Christmas Paper Templates, and Santa Templates. Download these letter templates for free of cost. 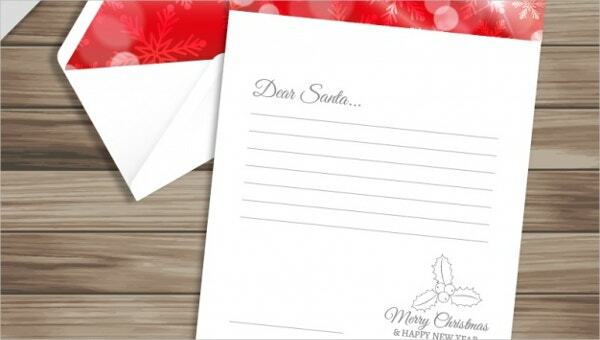 Pen down all your valuable emotions in these letters and send them in the name of Santa. 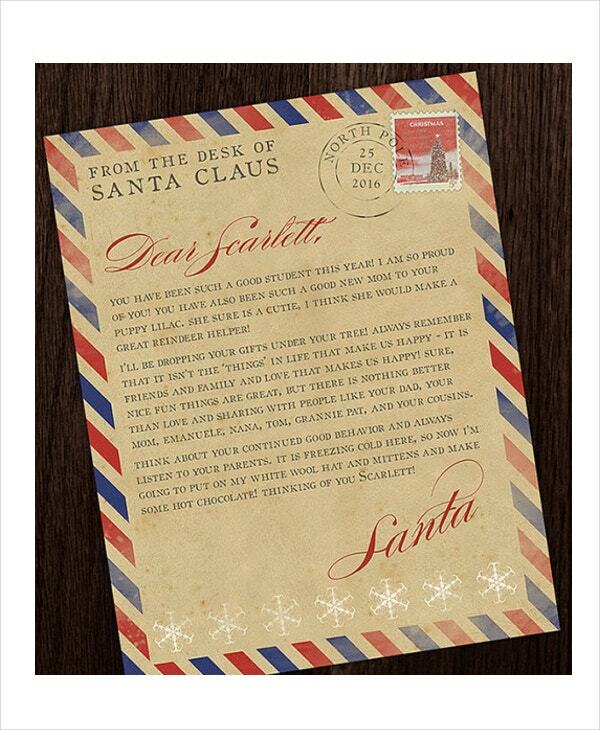 Personalized Santa Letter Template is a letter format that can be sent to your special ones during the Christmas Eve. 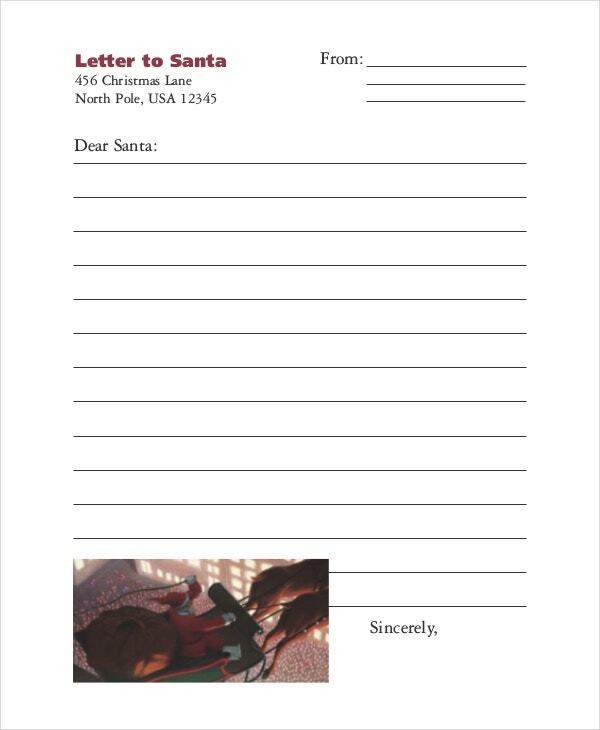 This letter can be customized by you and sent in the name of Santa. You can also check Christmas Paper Templates. This is a letter format that allows users to customize the same to use their words. These letters can be sent to your near and dear ones in the name of Santa. Black and White Santa Letter Template can be customized by the users with their loving words for their near and dear ones. It is in plain black and white color. 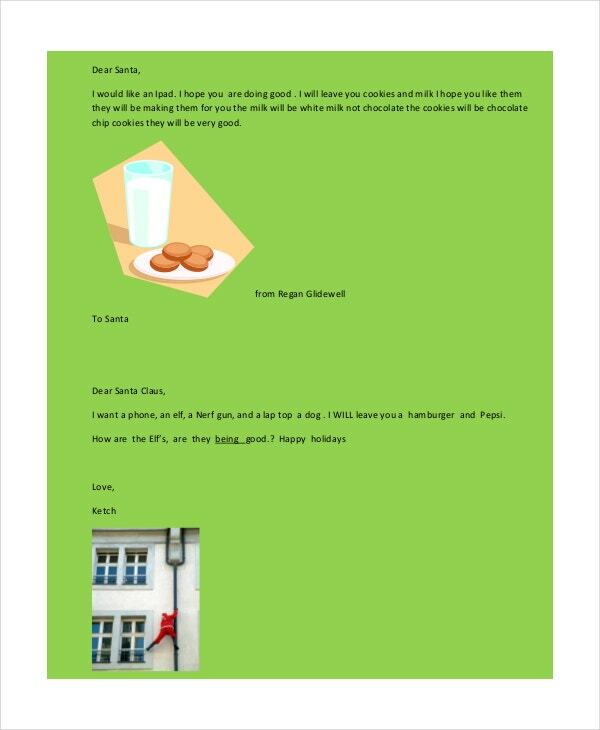 You can also see Free Christmas Letter Templates. 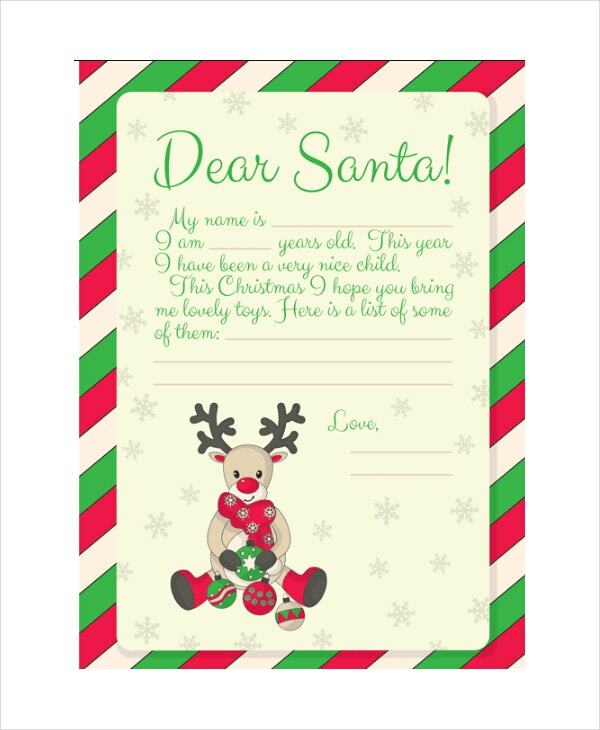 Vintage Santa Letter Template allows the customers to write a letter in the name of Santa. It is a simple format that can be customized by the users easily. 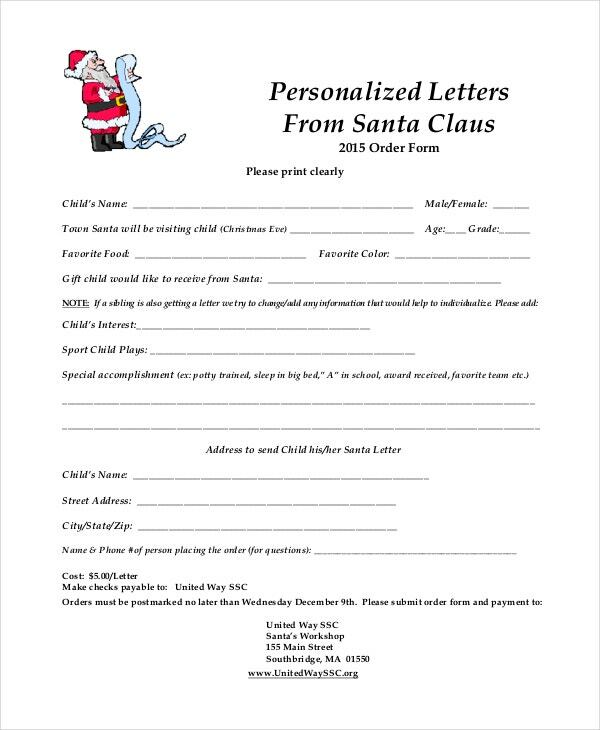 > How to use Santa Letter Template? 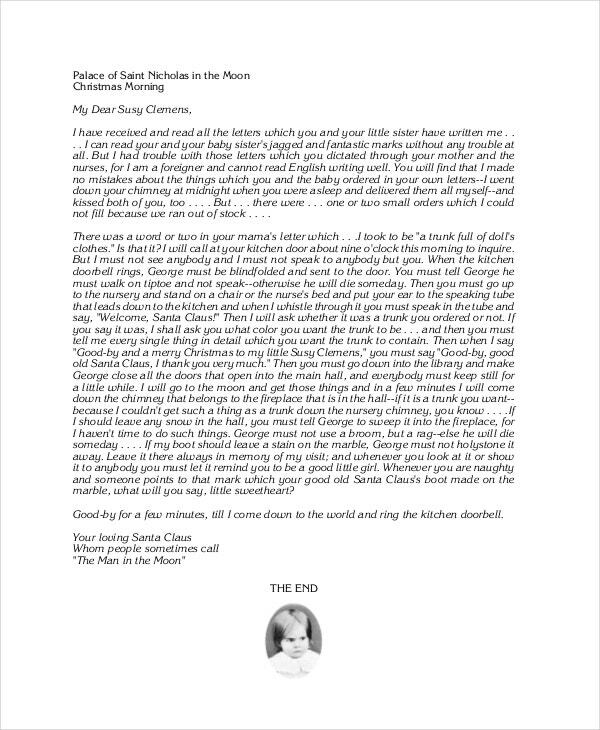 Santa Letter Templates are useful formats that can be used to make people happy during Christmas Eve. These letters can be downloaded by the users free of cost. These can be customized by the users to incorporate their own words. The letters offer a chance to the users to write their loving words in the name of Santa. These templates are attractively colorful and come in many designs. The innumerable designs in which these templates are available, provide a huge choice for the users to choose from. Make full use of these templates to bring in jubilance in the minds of your near and dear ones. 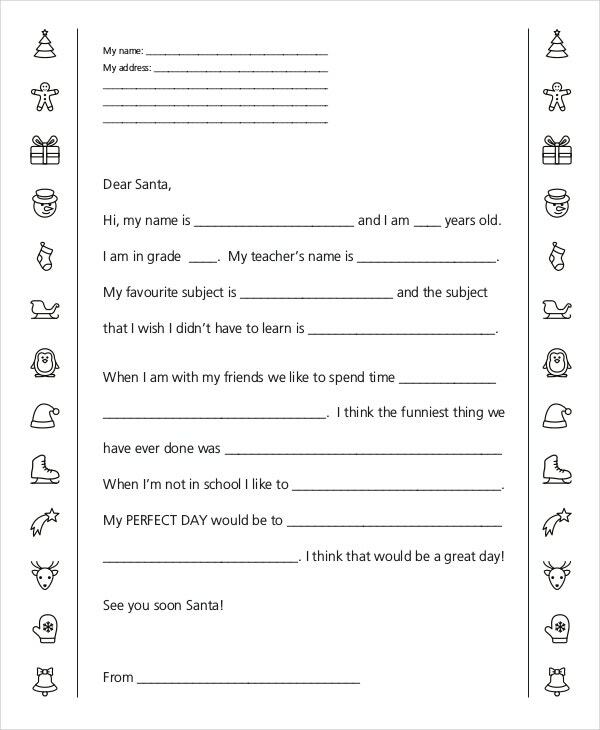 Kindergarten Santa Letter Template is a letter format that allows the users to write beautiful letters to kids in the name of Santa. This letter format is easily available for free download to users. > Who benefits from Santa Letter Template? All those people who want to make their friends and family members happy on the occasion of Christmas benefit from Santa Letter Templates. 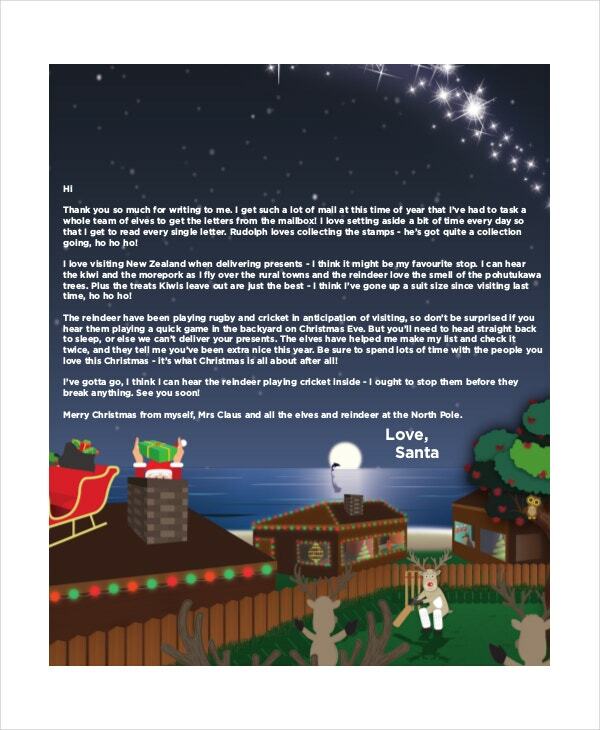 People can download Christmas Letter Templates for free and customize the same with their own words. After customization, these letters can be sent to the concerned in the name of Santa. These letter templates are highly user-friendly and help users to customize the same in an easy manner. Use these letter templates to make people around you happy by writing sweet words in an emotional manner. 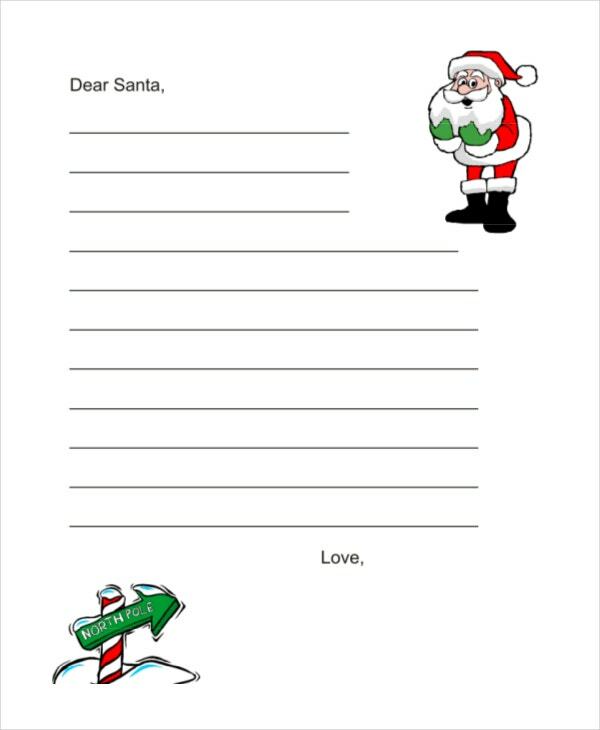 Download Santa Letter Templates for free of cost. Customize them with your words and send the same to your kith and kin in the name of Santa. These words of yours in the name of Santa will make the intended audience so happy that it would permeate all through the Christmas celebrations.